What a great post Molly! I would have loved being there with Rebecca & you. Super red sample. 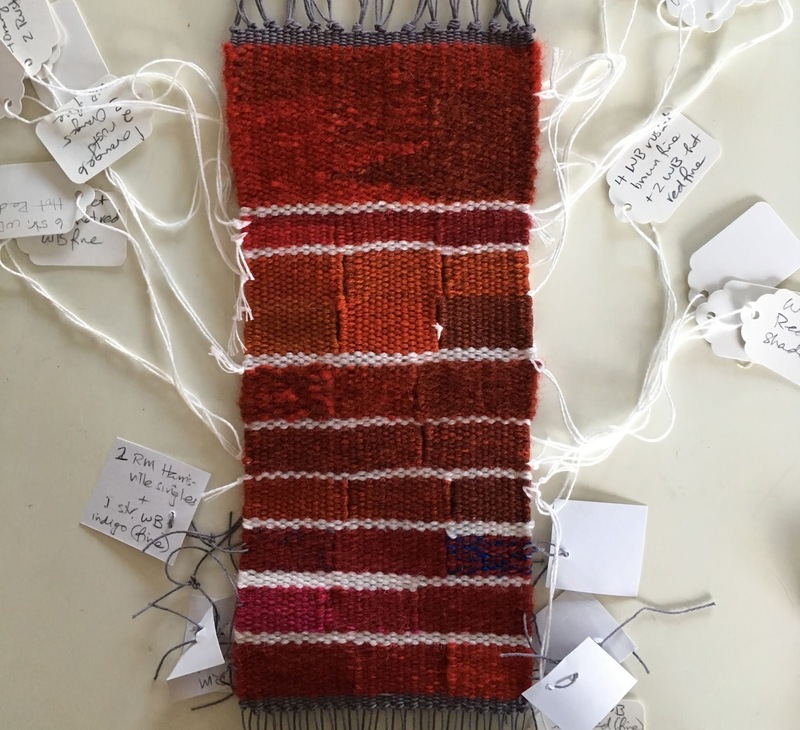 I love weaving color samples - but usually mix on the fly. Your post is clear message to take the time for this. Hope This class will be repeated next year! I know you’ve woven on the grey warp before but what makes you choose this and how is it on the eyes while weaving? Hi, Cate! I think Rebecca is planning to make the retreat in Taos an annual January event. Definitely go! I don’t usually do such extensive color sampling, but this time I had the time and so much yarn to choose from! 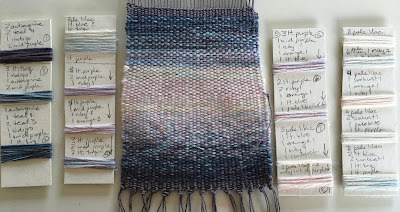 I like the gray warp because any lice are less visible, and to my eye it looks less raw than a natural colored warp if I leave a visible hem and/or a fringe. That said, Pat Williams and Tommye Scanlin have done beautiful braided and knotted edges with natural colored warp ends. 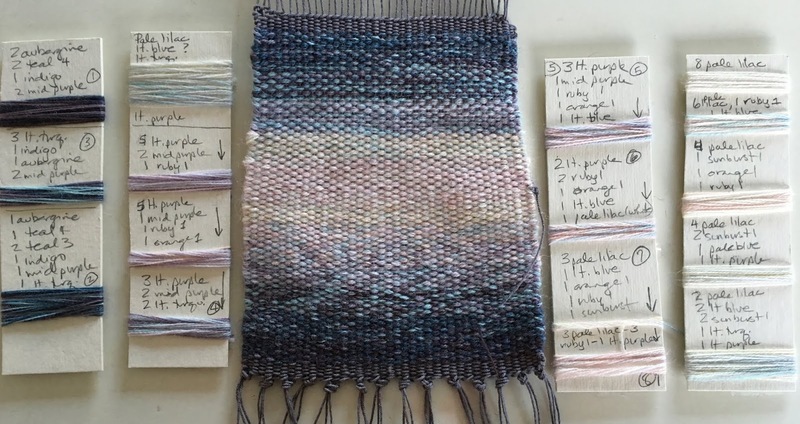 It may also be easier on the eyes while weaving. 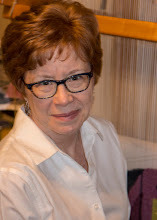 Your post makes me want to attend a Mezoff workshop -- and I'm not even a weaver! The snow, the Mabel Dodge Luhan house, the sunset ... all magnificent. Can't wait to see the tapestries you'll create from such an inspiring experience! Thanks for reading, Lynn. 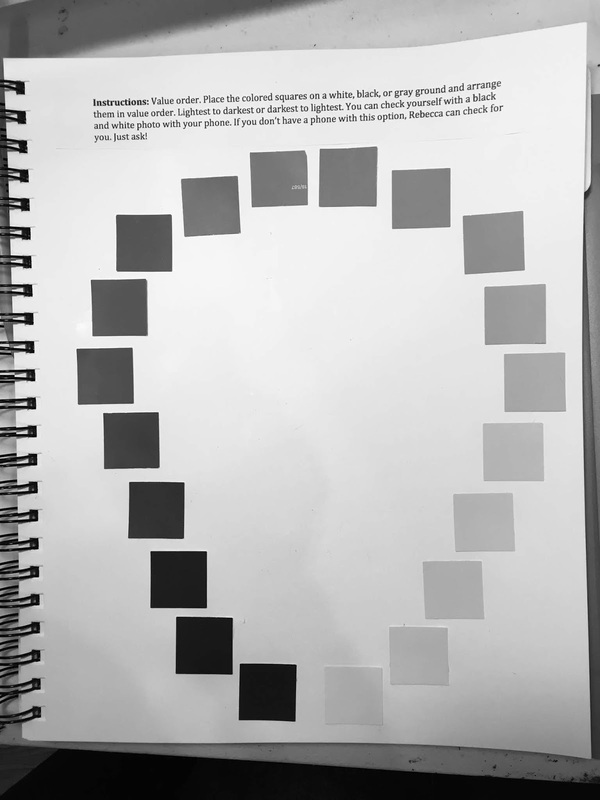 Go ahead and check out the list of workshops at MDL—there may be an art workshop a little more aligned with what you already do! Molly, I love your red exploration! 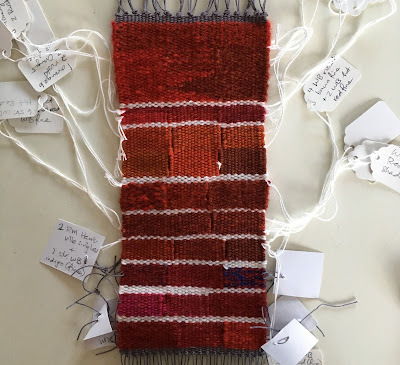 It was so nice to have you as part of our weaving community! Your brought lots of depth to our time together. I hope to see you again! 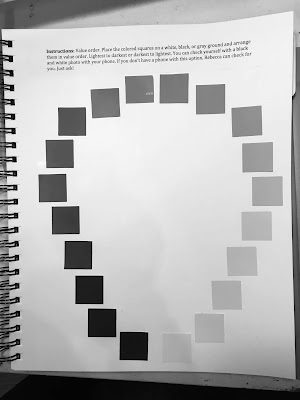 Love your blog post! Ercil, Thanks so much for your kind words. I loved meeting you and your husband. I hope our “weaverly paths” will cross again too.